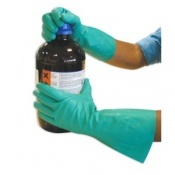 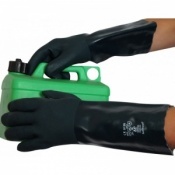 At Safety Gloves we have a range of Industrial Cleaning Gloves that are ideal for heavy-duty cleaning using industrial strength cleaning agents. 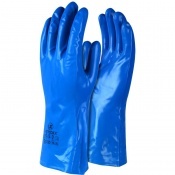 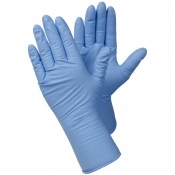 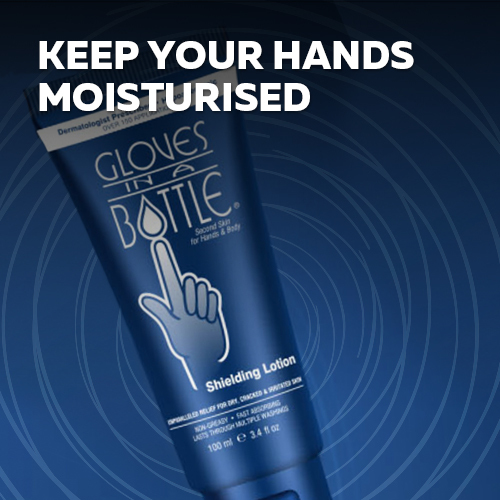 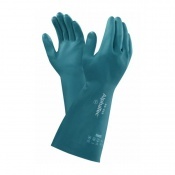 With variations such as PVC gloves, latex gloves and rubber gloves you can remain protected from abrasive chemicals, preventing your skin from becoming irritated or sore. 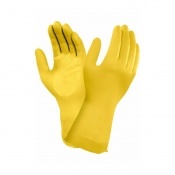 For more information on our Industrial Cleaning Gloves please contact our customer care team on 020 7501 1104 or via the "Contact Us" page. 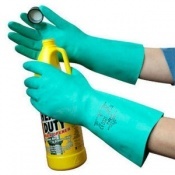 When you are cleaning on an industrial scale, you will be using chemicals that can be highly harmful to your skin — it is vital to keep your hands from coming into contact with irritants. 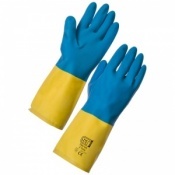 To do this, Safety Gloves provides a range of Industrial Cleaning Gloves that are ideal for use in professional, industrial cleaning and that are suitable strong cleaning agents. 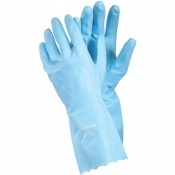 Each of our Industrial Cleaning Gloves has been designed to offer protection against chemicals, ensuring that they can be used time and again without significant deterioration. 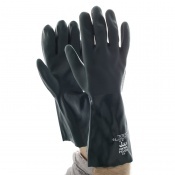 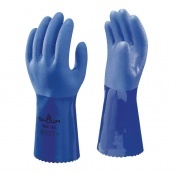 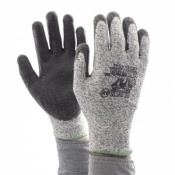 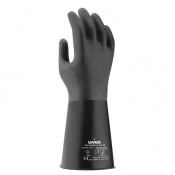 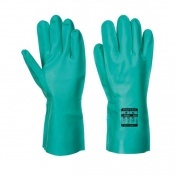 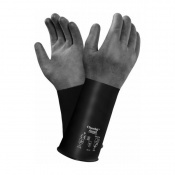 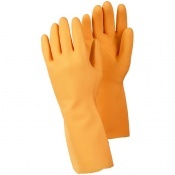 The gloves often have a longer cuff, meaning that they provide protection not only to the hands but to the wrists and lower arms as well, making them great for multiple cleaning applications. 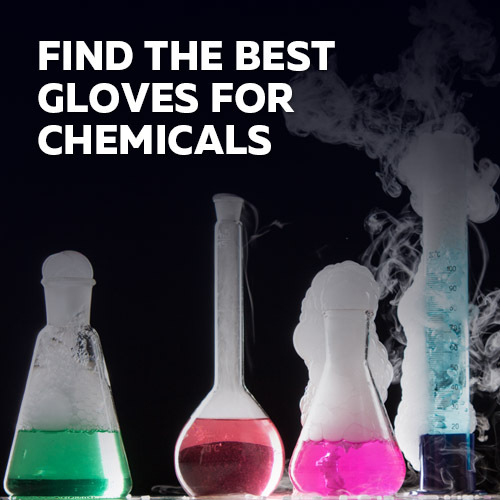 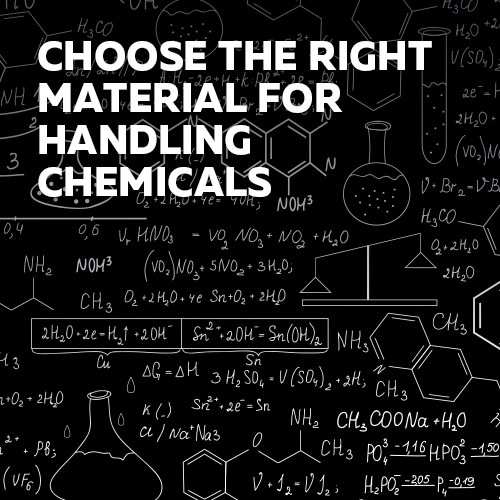 Choice is an important part of the Safety Gloves ethos — we want you to find the gloves that best fit with your needs. 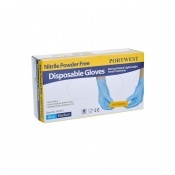 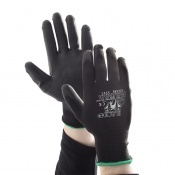 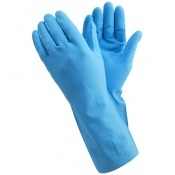 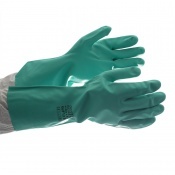 To do this, the majority of gloves within the Industrial Cleaning Gloves range are available in a number of different sizes, allowing you to purchase a glove that fits properly. 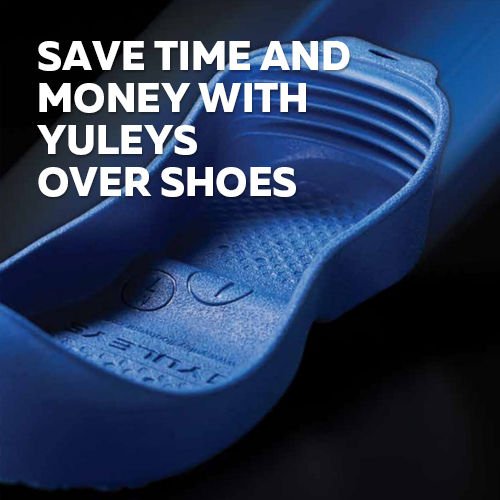 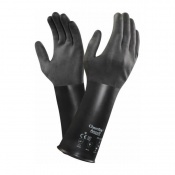 Choosing the right size is ideal for giving you the best possible level of dexterity and ensuring that you are protected as much as possible. 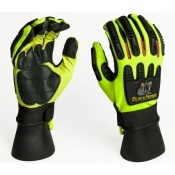 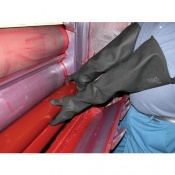 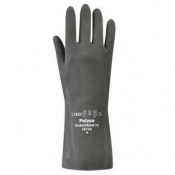 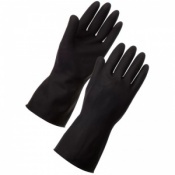 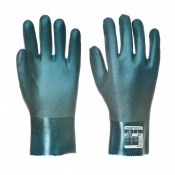 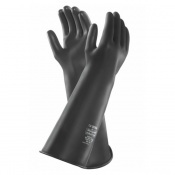 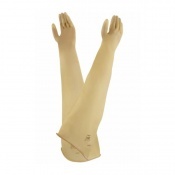 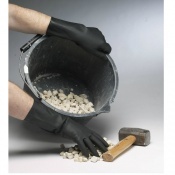 At Safety Gloves we believe in providing the best level of customer service. 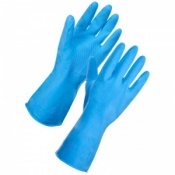 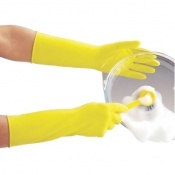 Whether you are buy one glove or one thousand, we are here to answer your questions and provide you with any information about Industrial Cleaning Gloves that you might need. 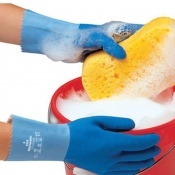 To contact our customer care team please call us on 020 7501 1104 or leave a message via our "Contact Us" page.